On Mondays and Thursdays, at 5 pm CET. Hello and welcome by Carrot Affairs, our Dev-Soap on Twitch.tv! The trailer won’t mislead… You can expect interesting and funny insights behind the scenes of our studio. Authentical presented, from us, with us, for you. Twice a week – tune in when we are live! 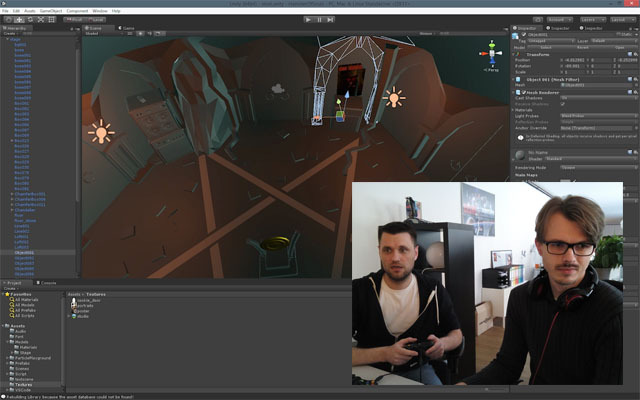 On Mondays and Thursdays, our Development Stream lets you peek behind the curtains. Watch our team develop code, artwork or sounds for current projects and chat with us about various topics such as technical aspects, game design or useful tools.